We understand that you have a passion for flowers and a dream that one day you might work with them every single day. We had that dream too and so completely understand just how daunting it can be to transform that dream into a reality – but it is within your reach, so we are here to work with you and guide you every step of the way. Each person that walks through our doors has a different story to tell and we like to think that each of those stories has helped to develop and grow our own skills as teachers. Our relaxed and welcoming style of teaching ensures that everybody, regardless of past experience or current skill levels, gets the time and attention they need to build their confidence and find their own style as a professional florist in the making. 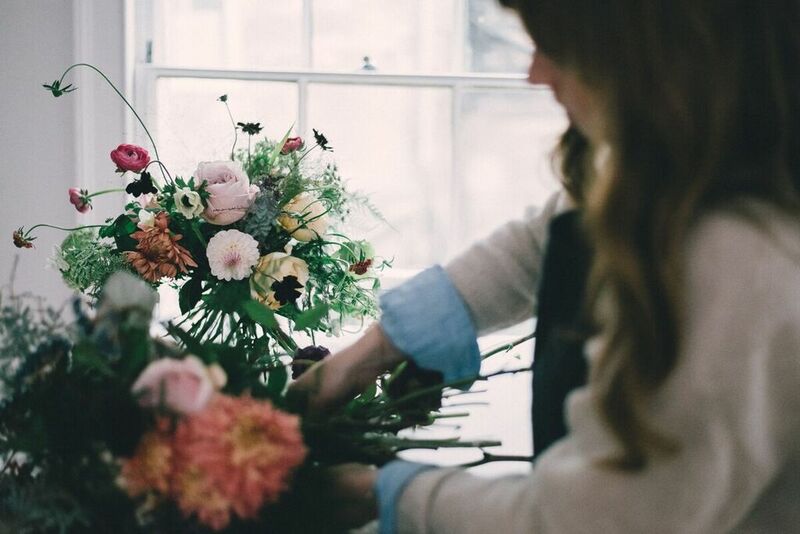 The Course in taught over four weeks and during that time we will work through the foundations of floral work from the basic ‘hand tie’ through to vase arrangements, wedding design, sympathy flowers, event and contract work. Aside from the practical, we also help you to build the skills you will need to start your new business, including marketing, branding, social media, business planning and funding. Also included in the course are a set of T&C’s for florists provided by Emerald and Jade Flowers. Each week consists of tuition from Monday – Friday. Class starts at 10.00 and our day finishes up around 16.30. Reserve your place by paying a deposit online or email us at registrations@tallulahroseflowerschool.com and we’ll arrange the rest. Please read our Payments, Cancellations & Refunds Policy prior to booking. 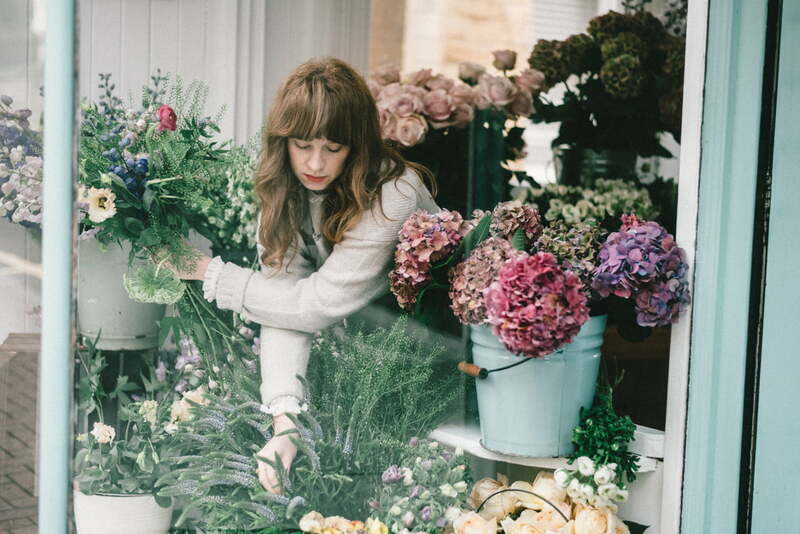 The first week is a hands-on, practical experience learning a wide range of floristry skills. You will learn planting designs, hand-tied bouquets, vase arrangements, oasis and eco alternative arrangements and sympathy work too. During week one you will cover seasonality of flowers, care and conditioning, wastage control, colour, design and proportion, ordering and finally costing, a vital part of your future business. Week two is ‘wedding and event’. From bridal consultations, costings and quotations through to bridal bouquets, flower crowns, buttonholes, corsages, church flowers, venue dressing and lots of inspirational ideas for you to begin designing your own wedding and event flowers. We return to practical skills during week four and we focus on your final interpretation pieces. You will design and create your own wedding flowers without the pressure of a ‘real’ bride! 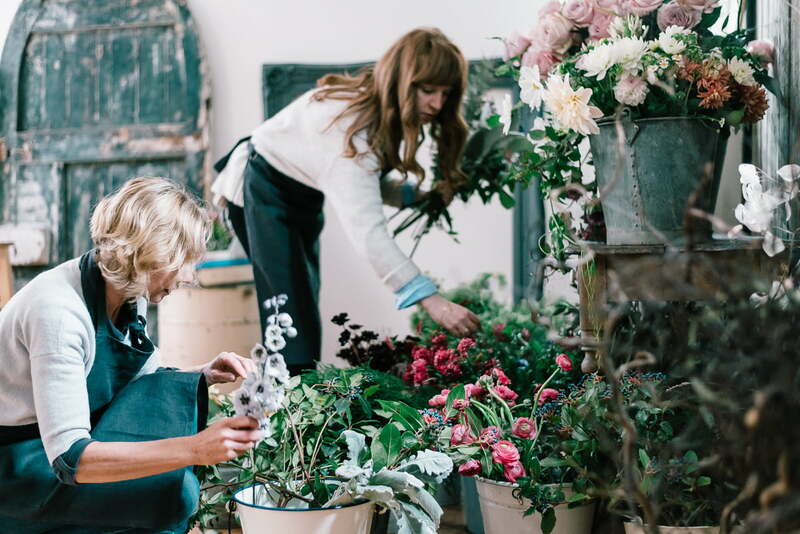 We will guide you through the process from mood boards, costing and ordering to producing your final floral designs.We have a revision day during week four allowing you to practise skills learnt during the previous weeks. We finish the final day a little earlier allowing time for the team to feedback on your final pieces and of course to celebrate your achievements with a glass of champagne! A heartfelt Thank you for the wonderful month I spent with you in September. It was an amazing, inspiring time and l am so grateful for the knowledge you shared and the encouragement you handed out by the bucket load. Not only have I been given the confidence to begin a new chapter in my life but I have met some fab new friends along the way!